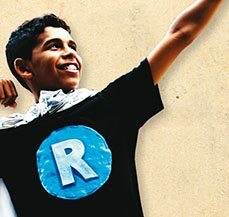 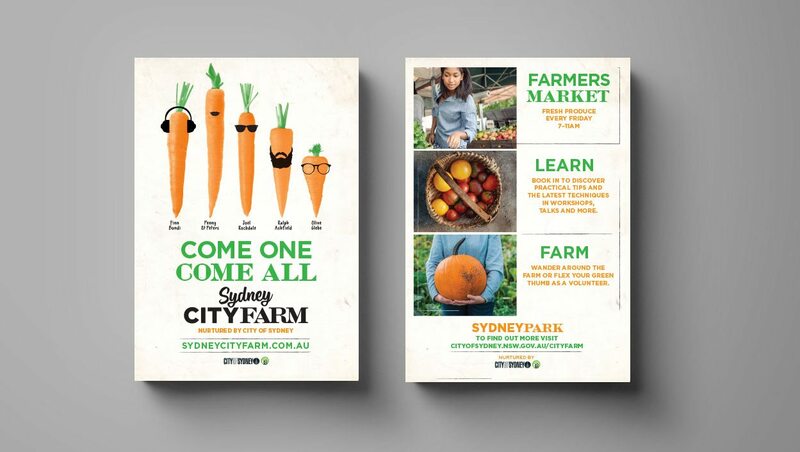 Alphabet worked with City of Sydney council to develop an identity for a new initiative that aimed to provide “a small piece of the country in the inner city”. 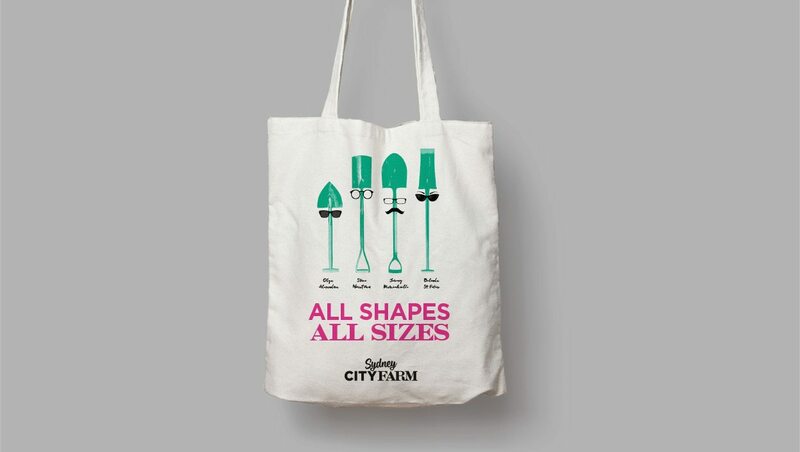 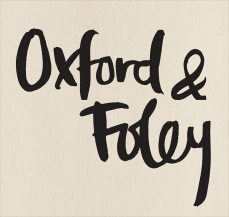 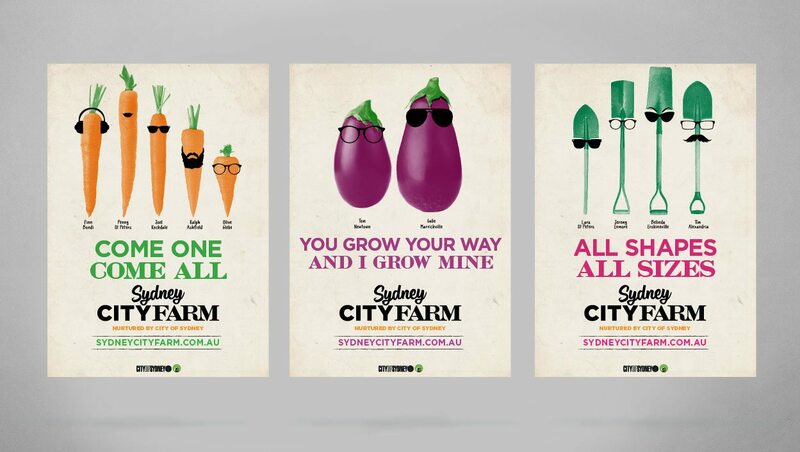 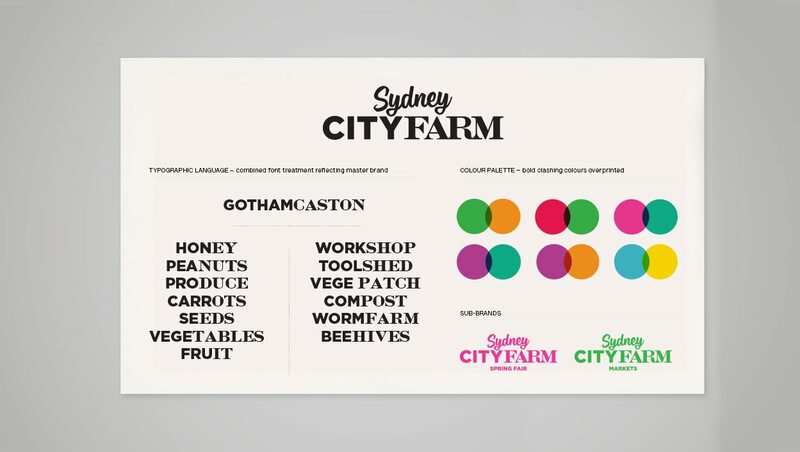 The approach to typography and colour palette reflects this duality of “city” and “farm”. 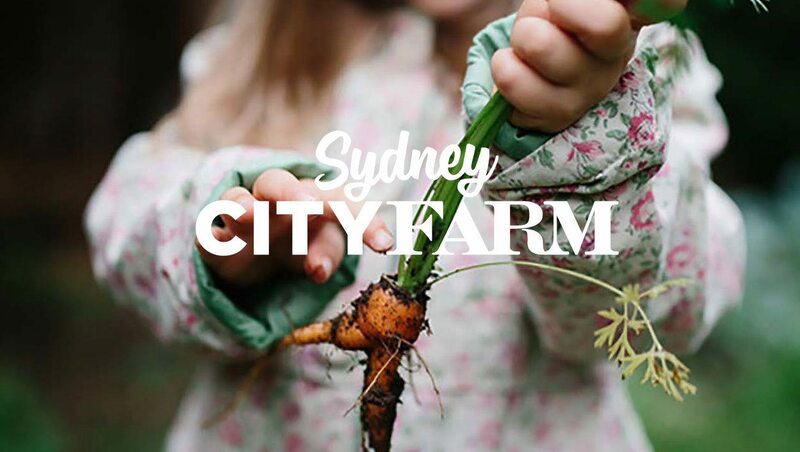 The characters and colloquial tone-of-voice were employed to ensure everyone in the surrounding area felt they were welcome and invited to play a part in the growth of the farm.